I’ve really enjoyed meeting and talking with BiteFX customers over the last year as I’ve never worked with a product that is so universally appreciated and enjoyed by its customer base. It’s easy to use and clearly fills a need helping patients understand complicated occlusal concepts. However, it has also surprised me how few people are using a BiteFX feature that takes seconds to learn but can save hours each year PLUS it totally removes the chance of you stumbling while you try to find your next animation. Whether you know the name or not, you’ll have figured out that the BiteFX animations are delivered in groups that we call “sequences”. Each sequence contains one to eight animations and they are grouped by topic, such as “Open-Close”, “Guidance” and so on. The groupings are organized in a reasonably logical order so that everyone manages to find their way around. Regardless, do you still find that it sometimes takes a while to locate an animation? 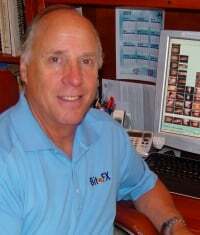 I recently performed a timing study with our resident dentist and BiteFX expert, Dr. Reid, and his average time to select an animation while giving me his standard presentations was 7 seconds, and the longest time to select was 12 seconds. This may not sound too long but do you know that in website design any delay over 1 second is considered an interrupt in the user’s thinking and with a delay of over 10 seconds their mind has moved on to some other topic? Taking too long to select your next animation can easily cause your patient to lose your flow and may even cause you a momentary lapse in your train-of-thought. I’m sure most people cope with this so it doesn’t become a big issue, but it’s unnecessary and can be easily avoided! BiteFX provides a Sequence Editor so that you can create your own sequence of animations following your own ideal “storyline”. Moving from one animation to the next only takes a single click of the “Next Animation” button . From the displayed menu select Sequence Editor. Enter your own name for the sequence by overtyping the text “New Sequence” – for example call it “Occlusion Introduction”. Select any animation you want from the left-hand list and move it to the right-hand list. You can add as many animations as you like, and even add duplicate animations to re-emphasize key points. If necessary, animations can be rearranged in the order you want after adding them. Then, when you are ready to present you just select your sequence (e.g. “Occlusion Introduction”) and use the Next Animation button to move from one animation to the next. A couple of minutes' time invested and you’re looking pretty slick!